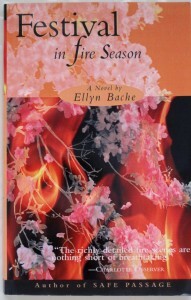 My 1992 novel, Festival in Fire Season, has just come out as an e-book. So when the publisher asked me to look through it after the (very old) files were converted, I found myself reading it for the first time in twenty years. 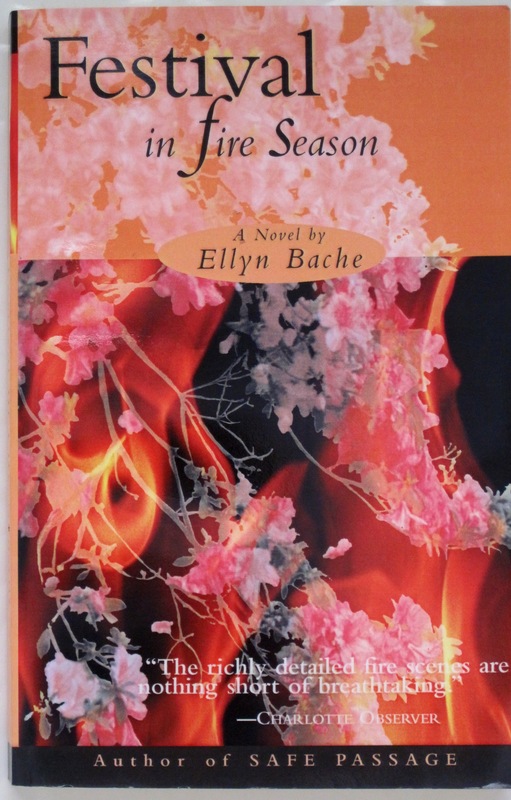 Festival in Fire Season is about three people in a small beach town who get caught up in a raging wildfire that comes through during the annual Azalea Festival. A Literary Guild and Doubleday Book Club selection when it was first published, it was inspired by real fires that swept through coastal North Carolina in the mid-1980’s – and that scared me badly when the flames were burning at the end of the block and I was home without a car, with my four children and two nieces. What critics liked most about the book were the fire scenes. But oh! Even two decades later, I remember all too well what a project it was to write them. One of the main characters in the book is a firefighter. He battles some house fires early on, and at the end has to deal with the swiftly-approaching forest fire. Making those scenes authentic and exciting was the key to the success of the book. I knew nothing about firefighting – just that I was afraid of fires. This was before Internet research was an option. I read one book by a NY city firefighter but found few others. I interviewed several local firefighters, including one who had been in charge of operations during our terrible wildfires. They were all enormously helpful. They lent me training tapes to watch. Explained how heavy the hoses can be when they’re charged with water. Told me their secret – not sanctioned, but effective – for clearing their face masks when they fogged up. In time, I had enough technical information to work with. But what I wanted was a sense of what it’s like, emotionally, to fight a fire. What it looks like, what it feels like, in a visceral way. This, I discovered, would be much harder to come by. My firefighter contacts, macho-men all, were knowledgeable, skillful, helpful in a myriad of ways – but emotional? No. It seemed a source of pride with them to describe even the most devastating fires in the flattest possible language. Oh, we knocked it down in about ten minutes. Oh, it was goin’ pretty good when we got there. Oh, it was kind of nasty. But we got hold of it. Back in the 1870s, there was no telephone service, no email, no TV, nothing to ease the linguistic task of describing the direct experience of a devastating fire. And so there it was, in many renditions, in the rich, evocative language of the times, the horror and (to my surprise) the beauty, of a terrible wildfire. From those accounts, I learned how sap could hiss as it turned to steam, how flames could hurl themselves into the night, “screeching and cackling, a Halloween beast sending out curling wisps of smoke,” how two walls of fire could become a “sudden last fountain of light” before the two fires canceled each other out. And so grew the novel. It shouldn’t have taken me so long to find my sources. I had read Civil War letters and diaries; I must have known that the vibrant language I was seeking would be in accounts from a hundred years before. Today, you can read all about the Peshtigo Fire on Wikipedia – and no doubt many other places. But if you’re ever looking for the true language of something folks want to mute and subdue, along with their fears, I suspect you’ll find it right where it’s always been, burning in the flame-lit annals of the past.